Air traffic starts to pick up as the aerostat colonies above Venus awaken, carried by the winds towards the sun in the west. The skies have become more filled with the newer, larger cities as testing for terraforming and Dyson motor bands have picked up. 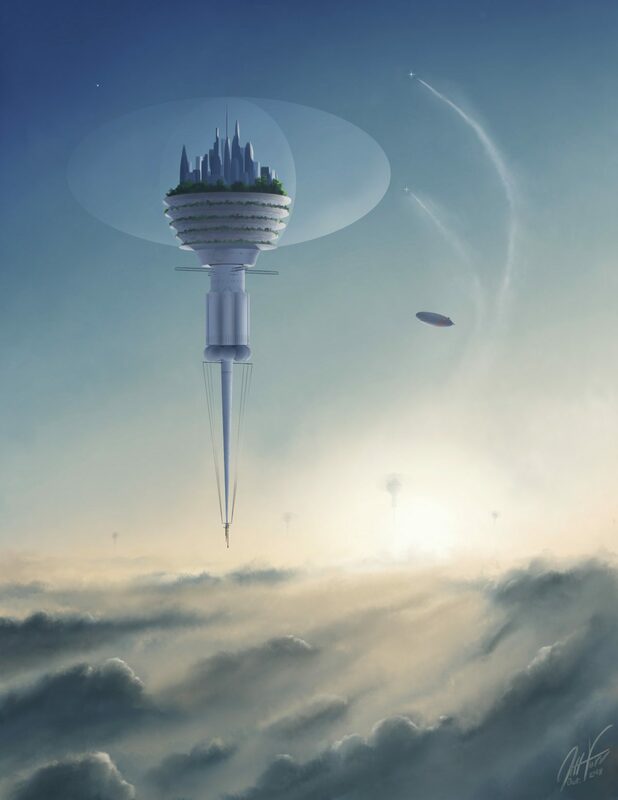 Some people would just assume to keep their cloudy paradise above the sulfuric clouds and hellish surface the way it is, though conditions will take millennia to become favorable enough on the surface for the cities to set down, so the Cloud Age will last some time yet. Made in Sketchbook Pro with very slight color curve editing in Photoshop.